Source: IRC & UNICEF. 2012. Caring for Child Survivors of Sexual Abuse, pg. 109. 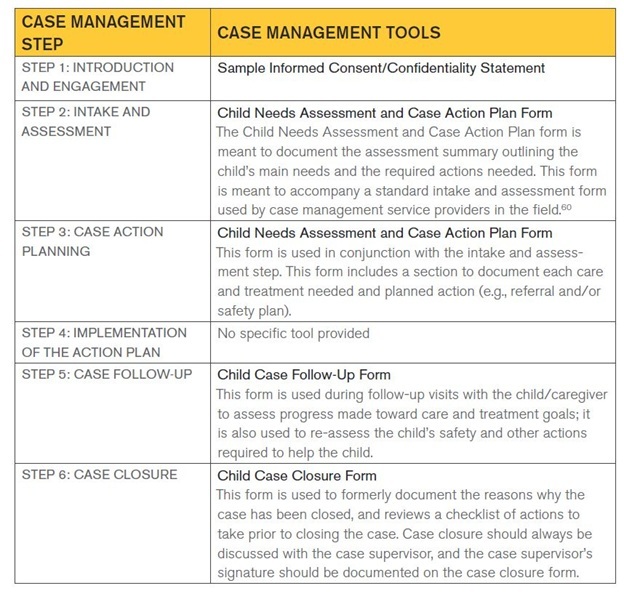 IRC and UNICEF have developed several case management tools to be used for each step of case management with child survivors. An explanation of these tools can be found below. 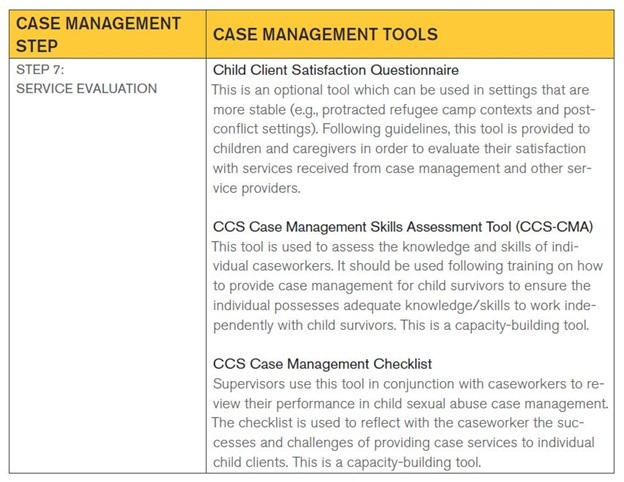 For more information on case management for child survivors and to access the tools listed, see: IRC & UNICEF, 2012, Caring for Child Survivors of Sexual Abuse, Chapter 5. Source: IRC & UNICEF. 2012. 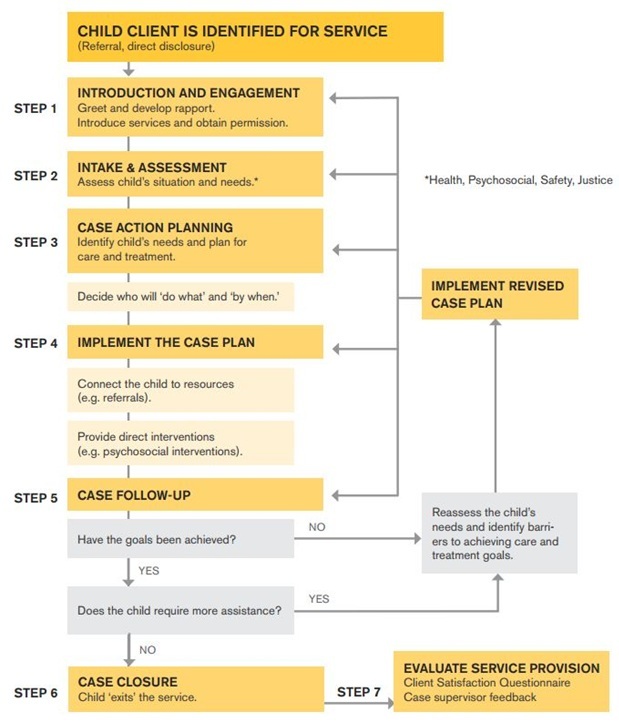 Caring for Child Survivors of Sexual Abuse, pgs. 110-111.